Justice League has seemed like a doomed project from the get-go. I, personally, have voiced strongly against such a project being made feeling that Warner Bros. would benefit by following the blueprint Marvel did en route to The Avengers. Setting up each character’s foundation and backstory was an instrumental part in the success of The Avengers. But, Warner Bros. has proven that when it comes to their DC properties, they have little regard for proper procedure or on how to handle them (i.e. Green Lantern). While Nolan’s Dark Knight Trilogy was amazing and will likely be remembered as one of the greatest superhero films ever, Batman was basically dead for eight years after Warner Bros. allowed Batman & Robin to hit the screen in 1997. Nolan was able to breathe new life back into that seemingly dead franchise. So, why would Warner Bros. risk ruining the Dark Knight once again by putting him in a Justice League movie first before rebooting him? By all accounts, the Justice League movie seems destined to fail. The film has yet to find a director, a cast, and more importantly, the studio is so dissatisfied by Will Beall’s script that they are looking to bring on a new writer altogether. There has yet to be one positive story regarding this film. It’s been nothing but rampant speculation and unfounded rumors. It’s appeared as though everyone has seen the red flags for this project except the studio. But now, it seems like the tide might be turning. /Film is reporting that Warner Bros. may hold off on making a decision about Justice League until after the release of Man of Steel. Given that Superman is one of the key members of the Justice League, it would make sense for the studio to see what fans’ reaction to Zack Snyder’s film will be. If the movie does well, there’s a distinct path that the studio might take: do a simple trilogy (a la Nolan), which I am on board with, and build up to Justice League. If that’s the case, then the Man of Steel trilogy would likely span across six or seven years, like Nolan’s Batman did. This of course begs the question: what about Batman’s future? Warner Bros. seemed to be planning on rebooting Batman first in Justice League and then spin him off into his own solo film series. I was actually supportive of this idea, despite my disdain for a Justice League movie in general. I felt that after what Nolan did with Batman, we needed a palette cleanser; a Batman film on the complete opposite end of the creative spectrum. While Nolan’s films grounded Batman in reality, I felt that introducing him first in Justice League would immediately dispel the idea that this new Batman would be like Nolan’s. By having the Dark Knight in a world with other superheroes and aliens immediately sets him up for a film series where anything is possible (even a guy shooting a freeze gun). But it now seems as though Warner Bros. wants to preserve what Nolan did and not risk ruining Batman again by letting him appear in Justice League. That means the studio will likely wait until Superman has his run before bringing Batman back to the silver screen. 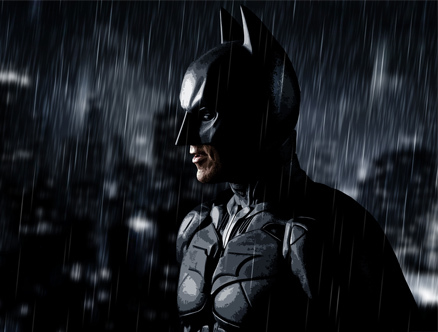 As much as I love Batman, I have to agree with this decision, should it turn out to be true. As great as he is, Warner Bros. needs to develop their other superhero properties and quit relying on Batman to carry them year after year. It’s not like DC doesn’t have it’s share of worthy superheroes. While Green Lantern was an utter disaster (which upset me since he’s my favorite superhero) I believe Warner Bros. can develop quality films with some of these lesser known heroes if they truly devote themselves to doing so. Ten years ago, people would have probably laughed at the idea of doing a movie based on Thor or even Captain America, but as we saw with those films, it’s not about what the character looks or sounds like; it’s all about a good story and strong foundation. Keep in mind, too, that there was an eight year gap between Batman & Robin and Batman Begins, so waiting another six years might not be a bad thing. We’ll get a chance to see Superman in all his glory and hopefully another DC character like the Flash or Green Lantern again. If this is the ultimate path that Warner Bros. decides to take with both Batman and Justice League, then I am on board. 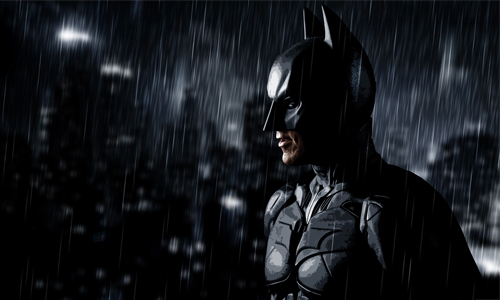 What should Warner Bros. do with Batman?